Buying real estate for the first time can be intimidating. I can help. Call me at 310-422-1212 and I'll give help you obtain the property you want. First, a little about "escrow". To close the sale of a place, a neutral, third party (the escrow company) is engaged to assure the process will close properly and on time. Escrow companies hold money for "safe-keeping" in an exchange between a buyer and seller. An everyday way to understand the concept of what an escrow company does is to compare it to PayPal for online purchases. The escrow holder is careful to assure that all terms and conditions of the seller's and buyer's agreement are completed prior to the sale being finalized. This includes getting monies and records, signing required forms, and obtaining the release documents for any loans or liens that were cleared with the transaction, assuring you have a free title to your place before the negotiated price is fully paid. Upon completion of all instructions of the escrow, closing can take place. All expenses like title insurance, inspections and real estate commissions are paid. You'll then get the title to the property and the title insurance gets dispersed as agreed upon in the escrow instructions. 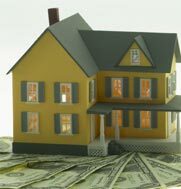 The escrow company gets a payment when the closing is complete. You'll know when it's time to submit the form of payment.